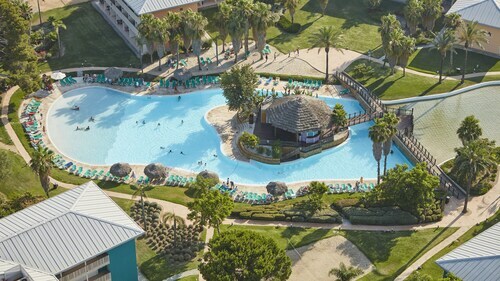 Located in Miami Platja, this campground is within 6 mi (10 km) of La Llosa Roman Villa, Cambrils Beach, and History Museum of Cambrils. Centre Miro and Pinaret Park are also within 6 mi (10 km). Mont-roig del Camp Station is 14 minutes by foot. Located in Salou City Centre, this hotel is within a 10-minute walk of Capellans Beach and Llevant Beach. PortAventura World and Ferrari Land are also within 2 mi (3 km). Salou Station is 27 minutes by foot and Salou Port Aventura Station is 30 minutes. Located in the heart of Salou, this spa hotel is within a 15-minute walk of Municipal Park and Llevant Beach. PortAventura World and Ferrari Land are also within 1 mi (2 km). Salou Port Aventura Station is 12 minutes by foot and Salou Station is 23 minutes. 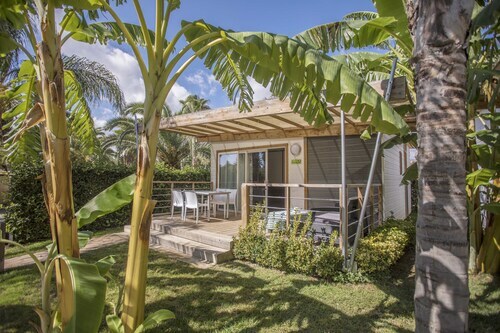 Located next to the PortAventura theme park, this family-friendly property is an hour from Barcelona, minutes from the Mediterranean Sea and the Costa Dorada’s white sandy beaches. How Much is a Hotel Room in Riomar? Hotels in Riomar start at $44 per night. Prices and availability subject to change. Additional terms may apply. Want to explore Costa Daurada? Desire a place to sleep? Travelocity's booking portal contains an extensive range of options. If you'd like to roam in Riomar, Travelocity boasts approximately 10 luxury and affordable accommodations within a 6-mile (10-kilometer) distance of the heart of town. Find out about several accommodation options you can find within a 3 miles (5 kilometers) drive from Riomar's downtown, such as the Hotel Gastronómico Mas Mariassa and La Figuerola Hotel & Spa. The Best Marítim is approximately 15 miles (24 kilometers) away from the city center of Riomar. 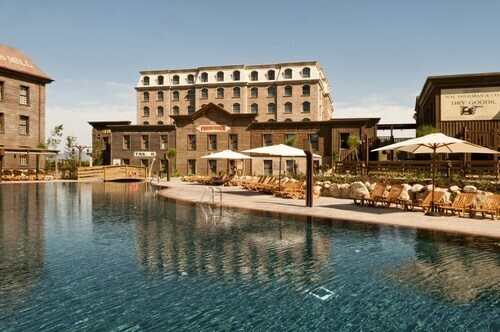 Another alternative is the Estival Centurion Playa - Hotel, which is situated 14 miles (22 kilometers) away. 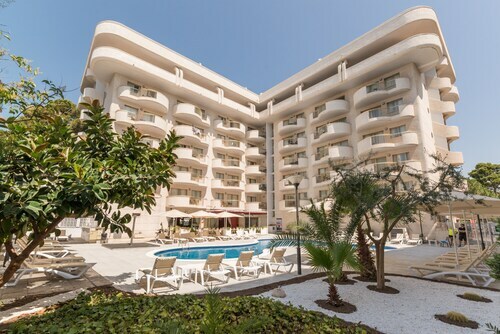 Alternative accommodation options are the H10 Cambrils Playa and the Estival Eldorado Resort. After you've explored Riomar, you should make time to visit the other natural and cultural attractions of the Catalonia area. Catalonia is well known for its beaches, and popular tourist places of interest are ruins. Bold travelers might also try their hand at mountain biking and mountain climbing here. 18 miles (28 kilometers) to the northeast of Riomar, you will reach Reus, where you can find Bofarull Palace and Salvador Vilaseca Museum. 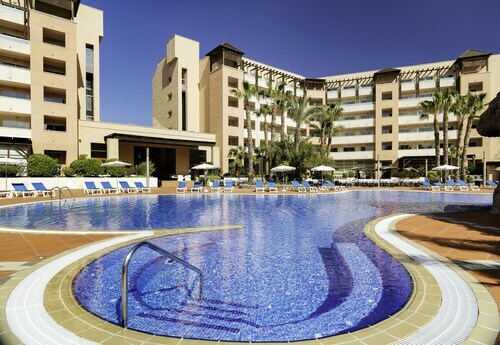 The Mas Passamaner Hotel and Mercure Atenea Aventura are a handful of the Travelocity accommodation choices in Reus. 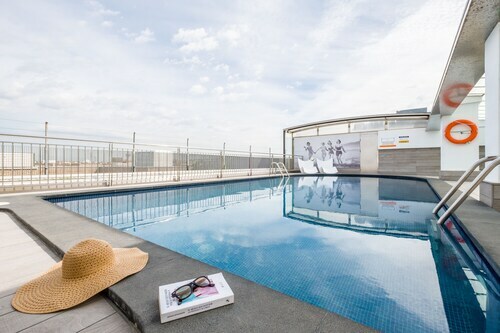 Alternatively, you could consider staying at Tarragona, 25 miles (38 kilometers) to the east of Riomar, where you can pick from the AC Hotel Tarragona by Marriott and Hotel SB Ciutat de Tarragona. While visiting Tarragona, make sure you venture to the Tarragona Cathedral and Tarragona Circus. If watching sport is something you want to do while in Riomar, don't overlook a visit to Plaza de Toros, which can be found 20 miles (36 kilometers) to the east of Riomar. And travelers that would like to find a room near to the sporting action can select from the Husa Imperial Tarraco or the Alexandra Aparthotel. Before you and your family make tracks to Riomar, leave yourself the time to browse our Riomar accommodation and city guide where you will explore the numerous things to do and see to be found here. The check in process took more than an hour. They need to improve this process. There were stations at the check in desk that were empty. They could have had additional staff helping. Also they said our room would be available by 3pm but it was not ready until after 4pm and we still had to check out by 11am. ? They did not give us the room we reserved. The staff at the check in desk made mistakes and then instead of apologizing, they lied. It was disappointing. Dinner was very busy but we didn’t wait soo long. The staff were friendly. The only issue was the temperature. It was soo hot. My daughters faces were were soo red. Other than that were were happy. The hotel itself was great. The pool, parks and the rooms. 4.0 Lovely hotel in a great part of town. Close to the beach and lots of restaurants and shopping. Easy to get around and a taxi to PortAdventura is about $11 and only 10 minutes. The room was modern and clean, but a little small, especially after pulling out the couch bed for our daughter. Excellent staff and restaurant and the pool was beautiful.